Give your gymnasts a medal that embodies the spirit of the sport. 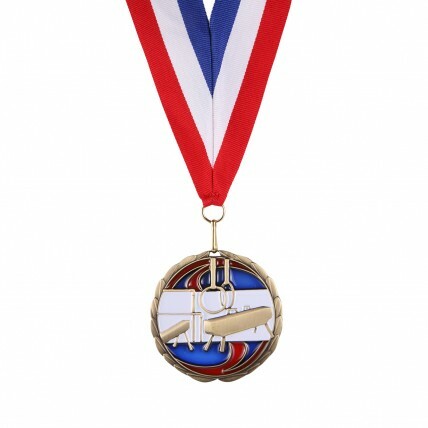 The Colorful All Around Gymnastics Medallion features a pommel horse, a balance beam, uneven bars, and still rings surrounded by swirls in red and blue appearing like stained glass. 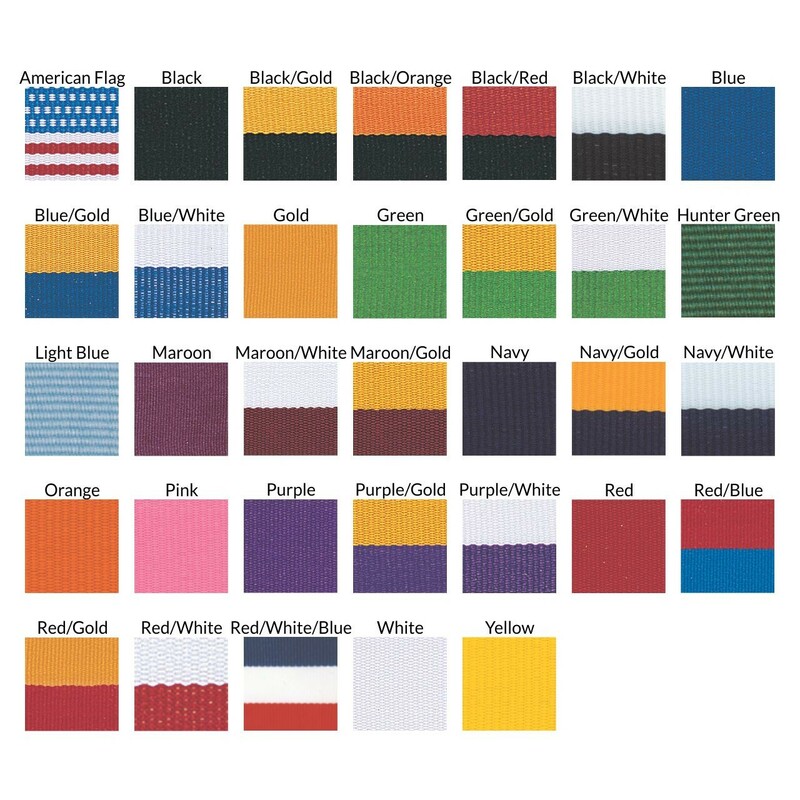 This award also comes with your choice of neck drape color and three lines of custom engraving.